Summerslam is coming up. It's almost here. Can you feel the excitement? No? Me neither. The WWE is currently in the process of giving away a Wrestlemania main event on a B level PPV show, instead of doing it at Summerslam. But that's not why I'm here. I'm not here to rant about the lack of solid booking for the Shield Triple Threat and there's a chance we see it with bigger stakes at Summerslam anyway. You know what else we will see at Summerslam? Brock Lesnar. As of this writing, the WWE was set to announce Brock Lesnar's opponent for Summerslam on the Thursday edition of Smackdown. Now, Smackdown is usually taped on Tuesday, and as spoilers came in, it was revealed that WWE didn't actually show his opponent during the taping, so it'll be added in during the actual broadcast. I thought to myself, why would the WWE take a UFC like approach and announce Brock's opponent so early without any buildup or drama to start. Then it hit me. With Brock about to partake in his return to UFC, it seems like WWE is attempting to bank on that big time for his promotion at Summerslam. Perhaps UFC will advertise Brock's match during their PPV and give it huge promotion? Likely not, but if Brock is fighting an opponent in a main event match at Summerslam, the choice would have to be someone big right? He's already faced Roman Reigns, Seth Rollins, Dean Ambrose, Sheamus, Big Show, Undertaker (too many times), John Cena (too many times), Triple H (too many times), and there's a whole plethora of wrestlers out there for him to go against. So who do you choose? Well it's simple for me. Yes, Orton is coming back off shoulder surgery and a severe injury and perhaps putting him in a match with a fresh from UFC Brock is not the best idea in that regard. However, Orton will definitely be healthy and ready to go for the match itself, if it's announced. This match wouldn't need a lot of fanfare or buildup because it sells itself. The last of the OVW prospects and two of the biggest names in the last 15 years of the business finally doing battle on the big stage. Orton's return PPV match after injury and Brock's first match since Wrestlemania 32. The stars are aligning my friends, and this is certainly one of the last "dream matches" available on the current roster. Orton is an explosive offense type of guy and Brock is a bit slower, more methodical brutal kind of guy, but their styles clashing would be a welcome battle. The biggest reason outside of Orton being a never before match is that it is also a fresher feud for Brock. My biggest fear is that Brock ends up fighting Reigns or Ambrose again, and while Ambrose vs Brock in a bigger match would be fine down the line, I have no interest for it right now. Brock vs Reigns should never happen again, and I think the WWE should move on from that one. While I would love to see AJ Styles vs Brock Lesnar, Samoa Joe vs Brock Lesnar, Kevin Owens vs Brock Lesnar, or Cesaro vs Brock as well, none of these guys are really ready for a match of this caliber. If Owens won a little more or had a run in with Brock at the Rumble to set the tone for a future feud, I'd be fine with it. Now just isn't the right time. Perhaps at Mania would be better and maybe Owens will be a main eventer or close to it then. The Bray vs Brock feud is incomplete and I think that might be too far gone to revisit now. Cesaro vs Brock would be good, but Brock has become more and more lazy in his matches and I think Cesaro would have to carry the load here to even make it work. The downside of this is that we know Brock isn't losing to Orton, but I can only hope the WWE makes Orton look the strongest he has in years against Brock. No more of that one F-5 and the match is over nonsense going forward. Brock doesn't wrestle enough to justify that booking against stars of almost equal footing. Orton must hit a RKO reversal out of the F-5 attempt and end up kicking out of a brutal F-5, before eventually succumbing to the move and losing to Brock. 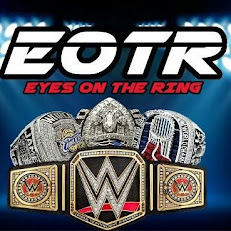 This is where they can really shine and make Orton look great while letting Brock come in, get his usual win and leave. There's no telling where Brock goes after this, but one thing is for sure, Orton vs Brock is a big time money match, one of the last ones really left. The crowd would be into it, and with Heyman doing most of the talking, we would not be subjected to a long pointless promo between Orton and Brock ever in the feud and buildup. The people want this match. The wrestling world wants this match. 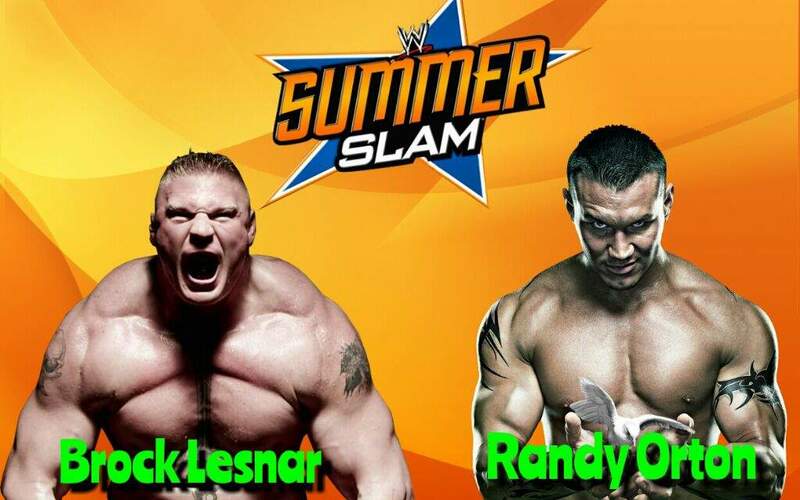 WWE, do the right thing here and give us Orton vs Brock at Summerslam finally. It's long overdue.